Thank you for visiting our website, and welcome to our Commercial Locksmiths in Bethlehem PA. We are the leading commercial locksmith company in Bethlehem PA, and surrounding areas. With this in mind, we cover the entire city of Bethlehem, Freemansburg, and Fountain Hill, as well as the entire Lehigh Valley PA area. We expertise in everything about commercial locksmith services. This includes commercial lock services in Bethlehem PA, unlocking commercial doors, From business lockout to buzzer system installation, we can help! Many businesses have door closure above the door. This means the door close automatically. Now, imagine you are an employee who left for a moment to throw the trash and the door closed behind him. This is a very common scenario for employees working in restaurants, office, store, and more. If this happens to you too, call us as soon as possible, either you need us early in the morning, or late at night. Emergency Business Lockout Bethlehem PA – Nobody like to be locked out, especially not a business owner. As a business owner, you want your business to be open to your customers in your trading hours time frame. Therefore, if you want fast emergency commercial locksmith, please call us now. Unlock Public Storage Unit Bethlehem PA – This is another one of our efficient lockout service in the city of Bethlehem PA. If you locked out of your storage unit, please tell the office guy of the storage to call LockTech24/7. We’re available 24/7 for any emergency storage lockout service. File Cabinet Unlock Bethlehem PA – File cabinet lockout incident at the middle of your working day, can be a terrible situation. Especially when you need documents inside the cabinet to keep your work. 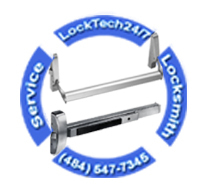 When you’re locked out of your file cabinet, you may call the best locksmiths in Bethlehem PA, LockTech24/7. Locked Out of a Commercial Safe Box in Bethlehem PA – Many businesses in Bethlehem have a safe box in the office. This is a comfortable way to keep flowing cash within the office. If you locked out of your safe box, please call us for estimate and evaluation of the service. 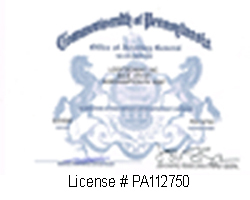 24/7 Emergency Commercial Locksmith Bethlehem PA is here for you. A commercial lock is usually a heavy duty lock. When you come to a business building, you can feel the heavy doors surrounding the frame of the building. It is the lock that secured your assets in your business. And it is the locksmith who works on that lock. Let LockTech24/7 secure your business. No matter if it an office, a store, or a chain store such as Macdonald, AT&T, or Home Depot. Commercial Lock Re-keys in Bethlehem PA – When you get one of your employees fired, you want to re-key the locks of your office. In this case, we are ready to help! LockTech24/7 commercial locksmiths in Bethlehem are expert in re-keying commercial locks, as well as creating a master-key system. Office Lock Repair in Bethlehem PA – Your heavy-duty office locks should protect your business. Therefore, a broken lock on your office door could jeopardy your business. Please call us if you would like to repair a broken lock, we can help you in no time. We are ready for your call. Storefront Door Lock Replacement in Bethlehem PA – Your storefront door is heavily working during a business day. Your customers open and close it hundreds of time, so it just makes sense the lock will break off or get an issue. We are here ready to repair or replace your storefront door lock, we have it in stock. Broken Key Extraction of an Office in Bethlehem PA – Any key can break in time, and this can happen to you too. Please don’t try to get the broken piece by yourself because you can push it furthermore in the cylinder and damage the lock. The best solution is to call us in order to remove the broken key shank from the lock. Commercial locksmith Bethlehem PA is ready for any locksmith project, whether small or large. Push Bar Repair or Replace in Bethlehem PA – A push bar is an exit device that installed on your door. Usually, you can find it on the back door of your business. If your push bar causes a problem, it usually means you can not lock your business, In this case, we’re ready to help! Call us for an estimate or to come out and check the problem with your push bar. Not every problem means a big problem. Access Control System Installation in Bethlehem PA – In the fields of physical security and information security, access control is the selective restriction of access to a place or other resource. LockTech24/7 can help you gain control of your business to avoid unauthorized people to gain access inside. Replacing Door Closures in Bethlehem PA – A door closure, a very popular device on almost every commercial door. You can see a door closure if you look at the top of the door you enter a business. We can help you to adjust, repair, or replace your door closure, hassle-free. Installing Buzzer System in Bethlehem PA – A buzzer system is also known as an electric strike system. We repair or install buzzer systems especially in Bethlehem PA, but also in the entire Lehigh Valley, Lehigh County, and Northampton County. Call commercial locksmith Bethlehem PA for any commercial locksmith task.